The National Alternative Fuel Vehicle (AFV) Day Odyssey national media kickoff event will be Oct. 18 in Indianapolis. Hosted by Greater Indiana Clean Cities Coalition, the occasion will serve as the official kickoff for the more than 150 Odyssey events taking place across the country on that day. The exact location of the event will be announced in the coming weeks. Coordinated by the National Alternative Fuels Training Consortium, Odyssey brings together many organizations, vehicle manufacturers and businesses to showcase alternative transportation technologies and their benefits. *Subject to close at discretion of GICC based on waiting list. With more than 150 events taking place on Oct. 18, the NAFTC anticipates reaching more people than ever this year. Each event is designed to help individuals learn more about alternative fuel and advanced technology vehicles, so they can make better choices in transportation. “Plans are underway to set the bar even higher for this year, anticipating 250,000 attendees at 150 events and reaching more than 100 million people through media outlets,” Ebron said. As in the past, all host site coordinators will receive access to the online Site Coordinator’s Notebook filled with media templates, event ideas, promotional materials and detailed instructions to help with the event planning process. 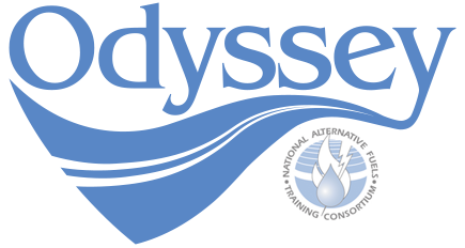 Thanks to funding from the U.S. Department of Energy, the NAFTC will again offer $1,000 per traditional site to the first 100 organizations that sign up to help offset the cost of conducting an Odyssey event. In addition, $250 will be provided to the first 50 secondary school sites to sign up to host an event. To host an Odyssey event, please visit www.afvdayodyssey.org/host and click on Site Coordinator Application. If you have any questions contact Virginia McMillen at Odyssey_Planner@mail.wvu.edu or 304-293-7882.